SEO (search engine optimization) can be complicated, sure, but that doesn't mean it's all complicated. With some fairly minor adjustments to your website, or with the addition of some valuable tools, you can improve your website's search engine optimization rather easily. 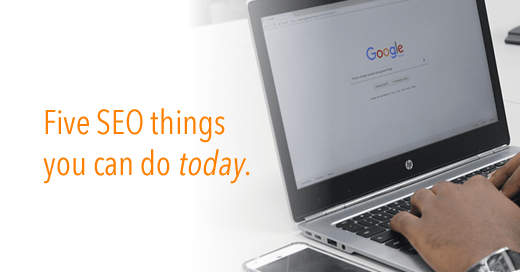 There isn't anything too complicated in this blog, and each item is focused on actionable things that you can do that will increase the chances of Google putting your website at the top of their search results pages. If your website is at the top of relevant search results for your gym of studio business (like when someone Google searches "gym" or "yoga" or "Pilates" in your area) then you've won SEO. 1. Your website page titles should mention your core business (what you are/offer). Using a core keyword in each webpage title of your website is incredibly important for SEO. Not only is this something Google uses to inform its ranking order, it’s what searchers see when your website is displayed on a search engine results page. The top are what webpage titles look like in web browser tabs. The bottom are what webpage titles look like in Google's search engine results page. For example, if your gym is called Andy’s Fitness (hey, nice name!) and based in Austin, TX, you need to make sure to include at least one of your core keywords in the title of each of your website pages. It also can't hurt to add any relevant location information, but if you have more than one location that won't be possible as it'll take up too much space. So if my current website title is “Andy’s Fitness” I would want to change that to “Andy’s Fitness - A Gym in Austin, TX.” With the change I’ve not only added one of my core keywords, “gym,” but also my location - both of which will help guide Google’s crawlers to my website and let them know that when someone in Austin searches “gym” that they should be shown my website. 2. 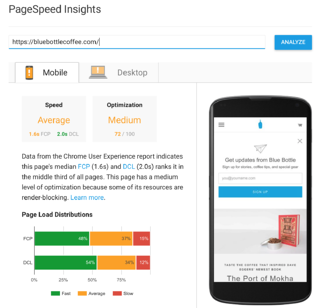 Have a mobile-friendly website (duh), but also make sure it loads fast. By now you probably have a mobile-friendly website. That’s great. What you may not be aware of is that the speed in which your mobile-friendly website loads is a ranking factor according to Google. This means that if you and a local competitor are competing for the same #1 spot in Google search results, and your competitor has a faster-loading mobile website, Google will give them the #1 spot. The same goes for your desktop website, but since Google’s switch to a “mobile-first” indexing system (sites with desktop and mobile versions will rank higher), it’s important to also know that it’s not just the speed of your desktop website that Google is looking for when considering where to rank your website. Go here to check how quickly your website loads. In the results you will see exactly what Google says you should change in order to fix any speed issues. One of the easiest things to fix is to reduce the size of your images. 3. Get an SSL certificate for your website. Google has recently announced that any website without an SSL certificate will be marked as “not secure” within Chrome, the world’s most popular browser. This means you must to get an SSL certificate for your gym or studio website. It’s easy to see if your website has an SSL certificate. 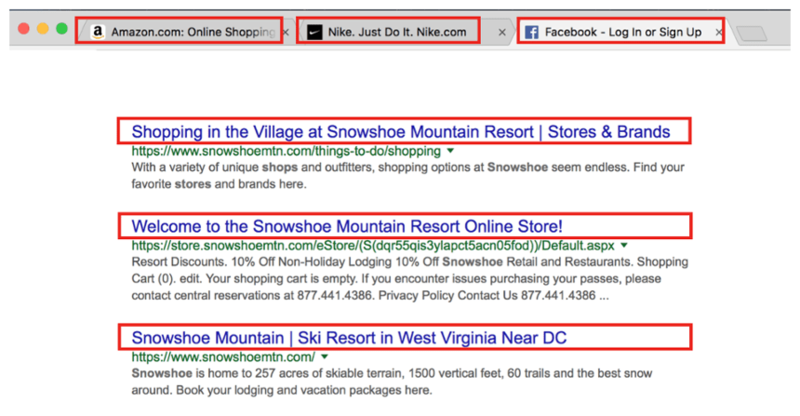 Simply load your website in a web browser then look in the search/website address field. If you see a little lock icon then your website has SSL. If you’re using Squarespace, you already have SSL on your website. If you use Wix you probably do, but if not then you can turn it on like this. If you use WordPress, then it depends on your hosting provider, but all of them offer SSL, so just contact them to ask how you can get one. 4. If you use WordPress, download Yoast. Any business that manages their website through WordPress needs to use “the #1 WordPress SEO plugin” Yoast. To install Yoast onto a WordPress website, simply log into your website, in the left column click on “Plugins” then “Add New” and then on the plugins page simply search for “Yoast.” You’ll then click “Install” and then you’ll need to click “Activate” so that the plugin is live. After that you’ll see a Yoast section on the left-hand side where you can manage all the new SEO goodies Yoast will tell you about. 5. Add “alt text” to all of your images. Having alt text within your images provides a text-based alternative to images on a webpage, thus the word “alt” being used. Even if you haven’t heard of alt text before, you’ve probably seen some if you’ve left your mouse hovering over an image on a webpage. It’s that text that pops up until you move your mouse away like in the example below taken from a Club OS blog post. Since Google’s creepy crawlers can’t actually see your images (at least not yet, but they’re getting there), you want to help them understand what images you have on your web pages. Making sure your website has descriptive alt text for images also helps with the accessibility of your website. If someone can’t see, alt text makes it much easier for your website to be read to them. When SEO works, people will visit your website. Have a plan. If your SEO efforts produce new targeted visitors to your website, you need to be ready for them. Have an intro offer, have easy ways for them to contact you, make sure your phone number is visible (and make sure your phone is answered 24/7 for such phone calls), etc. Download our free SEO e-book. We cover a lot more of what SEO can do for your gym, fitness, or studio business.